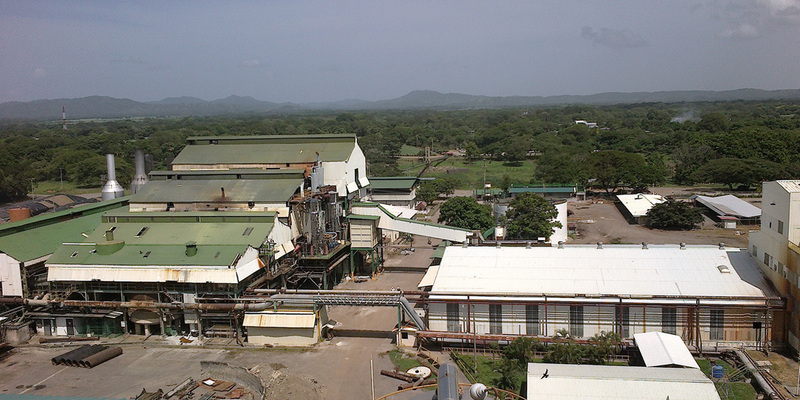 Sugar Manufacture – CATSA – Central Azucarera Tempisque S.A.
7,500 metric tons of cane per day. 850 000 metric tons of sugar cane. Crude Sugar, White Sugar Plantation, High polarization sugar, Molasses. The cane that arrives from the field in containers towed by heads, is weighed with electronic scales. Then it goes through a sampling process with a mechanical probe called Core Sampler. This determines the quality like sucrose content, fiber and amount of impurities. Then, the cane goes to the yard again, where a crane system is used to put it directly on the feeding tables. In here, the cane is prepared for grinding. The cane is transported by a system that puts it in contact with the choppers and shredder, which are rotors equipped with blades placed on the driver, driven by steam turbines and / or electric motors. This motors rotate at an approximate speed of 650 RPM through which the cane passes. It is then divided to facilitate the juice extraction. The drivers are provided with speed controls that are part of the automatic control system of the first mill to guarantee the fluidity of the programmed milling. The cane prepared by the shredder arrives at the milling tandem. The CATSA tandem has six mills. Each mill has four grooved cylindrical mallets where the cane passes and by applying hydraulic pressure, the juice collected for the subsequent process is extracted. Each mill is equipped with 250 psig steam driven turbine and a transmission system that reduces the speed from 3,600 rpm to 6-7 rpm in the mill. Hot water is added to the processed cane mattress with a temperature up to 90 °C: this is called Imbibición. The juice is recirculated in order to increase the extraction of the sucrose present in the fibrous material that leaves each unit: this is called maceration. The bagasse (milled cane fiber) that leaves the last mill is conducted to the boilers and used as a biomastic fuel. The exhaust steam of the turbines is used in heat transfer, evaporation and cooking processes of the masses. Besides that, heat transfer processes are used in Refinery and Distillery, complemented with the steam that comes from the turbogenerators. The juice extracted in the mill is called diluted or mixed juice and has a pH between 5.4 – 5.5. Sulfur dioxide (SO2) is produced in sulfur burner furnaces. This is used to sulfite the juice in a countercurrent absorption tower to eliminate color forming substances. The product is called sulphited juice, it has a pH around 4.5 – 4.8. Lime milk is added to the sulphited juice to neutralize the acidity and initiate the flocculation processes that allow the separation of the non-sugar solids that came with the cane. This alkalized juice has a pH between 7.2 – 7.5. The alkalized juice is heated with steam in heat exchangers tubes with a temperature up to 102-105 ° C, where non-sugar solids are flocculated by heating, alkalization and the addition of polymers. Gravity precipitation forms a mud called sugar cane sludge, which is processed in a sugar cane filter cake. The clarified juice produced in the clarifiers is passed through fine sieves to remove particles and impurities and is sent to the Evaporation process. The sugar cane sludge contains sugar but to recover it, it has to go through a filtration process. 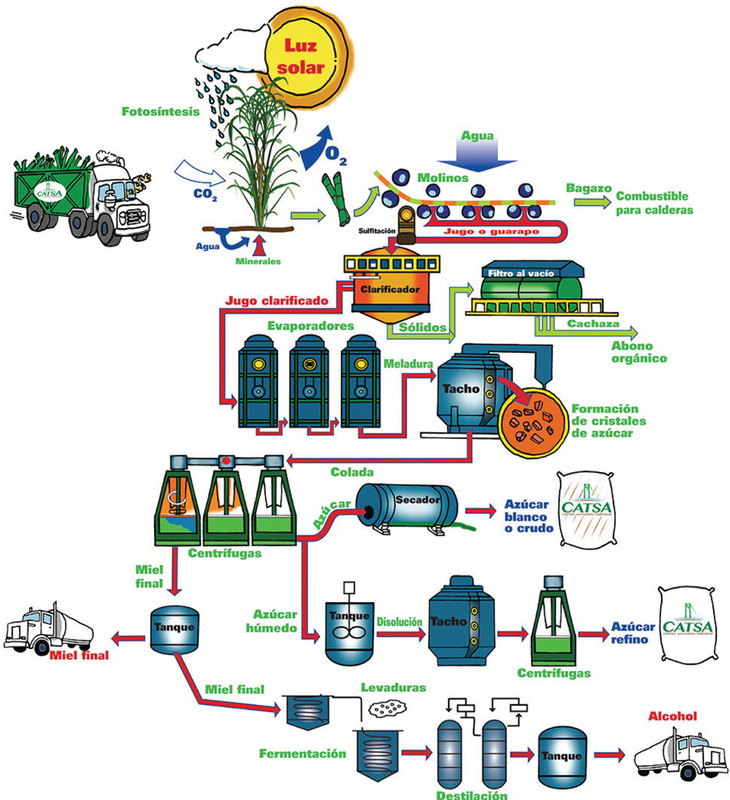 In this process, bagasse, lime and flocculant are added to increase filterability and are pumped to filters where the solids (sugar cane sludge) are separated from the resulting juice. Vacuum rotary and band filters are installed. In the filters, hot water is applied with spray nozzles to minimize the amount of residual sucrose in the filter cake. The solid matter is transported, collected in wagons and left in the field as a poor soil stabilizer (Organic fertilizer). The juice resulting from this filtration process is sent back to the alkalized juice tanks for treatment. The clarified juice is received in the evaporators with a solids content of 15% w / w (° Brix), concentrated by evaporation of multiple effect and delivered with 60 – 62 º Brix. This concentrated juice is called meladura. The evaporation station consists of a line of Robert type evaporators in a fivefold effect arrangement with a total evaporation area of ​​162,600 square feet. Each evaporator is equipped with instrumentation and automatic control equipment that allows to measure the level of juice, temperature, feed flow, among other variables. The cane syrup is subjected to clarification by phosphlotation. Phosphoric acid, flocculant, lime milk and air are applied. The foam formed contains impurities and sugar so it is reprocessed with the alkalized juice. The cane syrup is sent to the feed tanks of the Tachos (simple effect evaporators), to be concentrated and achieve the crystallization of the sucrose. The CATSA process is based on the Double Magma scheme, which consists of three masses and the reprocessing of honey to make the system more efficient. These doughs are fed according to the type: The cooked dough A is fed with the cane syrup. The cooked dough B is fed with honey A and the cooked dough C with honey B. The equipment to produce these masses is called tachos and the process to make a cooked dough is called a templa. The crystals are formed in the crystallization dish. These crystals produce the cooked mass C which are the smallest crystals in the process. These crystals are fed in the cooked masses B to recover the sucrose. The similar process is done to produce the masses A where the commercial sugar is obtained. The sugar crystals produced in the Tachos are separated from the mother liquor (honey) by gravitational force in equipment that can rotate at 1,200 rpm. They contain meshes that hold the sugar crystals and allow honey to be separated. During the centrifugation process, the sugar is washed with hot water to remove the honey film that covers the crystals. The obtained sugar is transferred by conductors and elevators to the next stage of the process. The honey that comes out of the centrifuges is pumped to storage tanks to be exhausted in subsequent cooking. From the first cooked dough, honey A is obtained, which serves to feed B doughs. The honey B is obtained from the second cooked dough, which feeds doughs C.
From the third cooked an exhausted honey ir obtained and removed from the process to be marketed for cattle feed and / or as raw material for the production of alcohol, which is called Final Honey or Molasses. In this way the honey is transformed into honey A, honey B and honey C or final; while the sugar crystals increases in size from the mass C, mass B and ending in the mass A, whose grain size meets the specifications to market it. The wet sugar that comes out of the centrifuges (0.5% humidity) is transported by elevators and bands to the dryer, which consists of an inclined rotating drum in which the sugar is placed in contact with hot air that enters in a countercurrent. The air is heated with steam in heat exchangers and introduced to the dryer with induced draft fan. The dry sugar comes out at the opposite end of the dryer, where a sorting screen is installed to remove the sugar cubes and any physical contamination with a size greater than 2 mm (10 mesh). Dry sugar (0.05% humidity) with temperature close to 50 ° C is packed in bags of 50 kilograms or in a pack of 1000 kg known as Big Bag or Super Sacks. 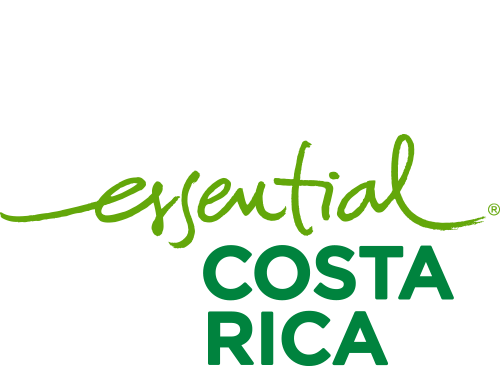 Then, it’s shipped to the wineries of the customer who is responsible for marketing the sugar in Costa Rica, called LAICA (Agricultural Industrial League of the Sugar Cane). In the case of raw sugar, it is shipped in bulks using a sugar silo. The bagasse (the product of the juice extraction process) is sent to the boilers where it’s burned in the furnaces of the boilers. This heats the water that flows inside the pipes of the boiler and produces high pressure steam to be used in the turbines that move the mincers, the mills, the turbo pumps, the fans of the boilers and the turbogenerators for the generation of electrical energy. The steam after mechanical work in the turbines is used in the heating processes throughout the plant, such as evaporators, sugar dryers, heaters and alcohol dehydration plant. Boiler assigned as # 1 corresponds to boiler Alpha brand, Record No. 956 and Factory No. 3M-34200193. Year of Manufacture: 1976. Boiler assigned as # 2, corresponds to the boiler brand Babcook & Wilcox, Record No. 957 and Factory No. 16945. Year of Manufacture: 1950. Boiler assigned as # 3, corresponds to the boiler brand Foster, Register No. 1301 and Factory No. 5D-6FW-32. Year of Manufacture: 1963. Boiler assigned as # 4, corresponds to the boiler brand Cerrey, Record No. 1090 and Factory No. 404VU. Year of Manufacture: 1984. In the Foster Boiler, 600 psig steam is produced by turbogenerators to convert the thermal energy into mechanical energy and electrical energy is produced. The industrial complex of the mill uses the electrical energy generated in this stage of the process for the production of Sugars, Alcohol and services such as machinery, administration, river pumps and residences, during the harvest. It has a turbo generator of 6.0 MW and 8.8 MW. In both, 600 psig steam is used at a temperature of 720 ° F.
There is also a back-up turbo-generator with a capacity of 3 MW, which operates with a steam pressure of 250 psig.